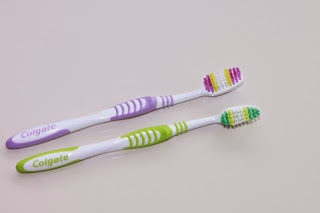 Hygiene Tips oral hygiene rinse herbs and home health starts in the mouth. Everything goes through our mouth has a huge impact on the rest of our body. Oral health is associated with the health of our entire body and having problems with teeth is a sign of profound nutritional problems. Once addressed health problems and changed our habits towards a healthy diet without processed and feeding our body whole foods food is very normal to have fewer cavities. Our body has the ability to heal naturally and this is also true for the teeth. The factors that determine oral health are under sufficient dietary minerals and sufficient water soluble vitamins. Also it influences how the body absorbs and how bioavailable are for it. The latter is influenced by the presence of phytic acid in the diet. In the past Eve biting the apple has been said about the different alternatives to conventional toothpastes, and today I wanted to contribute my grain of sand, offering a prescription mouthwash. There is nothing more refreshing and nothing brings more smoothness to finish brushing with a shot of "Listerine" but perhaps more advisable to stay away from such chemical explosion, as well even indicates the ad itself. Oil pulling: From the Files of Apple: "You've never heard of this technique? Basically it is to make a rinse with a couple of teaspoons of any vegetable oil (coconut oil is a good choice for its bactericidal action and mild taste) for about 20 minutes, then spit, rinsed with warm water and brush good teeth. " It is recommended to repeat the practice of one to three times a day on an empty stomach. NEVER swallow the oil with which the mouth is rinsed because it is full of toxins, bacteria, pus and mucus even if you have an infection. What are the best oils? Traditionally sesame, coconut or butter (ghee) are recommended. Currently olive oil and sunflower is also used as alternatives. Some physicians (eg Dr. Bruce Fife) declare that the "oil pulling" cure a variety of ailments such as hormonal problems, cardiovascular diseases, digestive ailments and sinusitis. My method includes extra virgin coconut oil and essential oils like clove or mint and sometimes a mixture of coconut and AOVE. Irrigators or dental floss: As Edurne explains: "This small device can do wonders cleaning teeth and gums. Ramiel Nagel, author of Cure Tooth Decay irrigators used as part of their protocol. In his book he suggests using a solution of water with salt for oral irrigation to enhance its benefits. " It is the western version of "oil pulling", perfect to rid the body and mouth of the bad bacteria. Some people even say they do not stay sick due to its continued use. We recommend adding a couple of times a week in addition to salt, hydrogen peroxide, I improvise and sometimes I add essential oils or some of my homemade mouthwash. I assume that you know floss. Tongue cleaner: The typical thing that once tested, do not know how we could live without using so far. Obtain one to simulation simulation daily. Thanks and give me then and later I will give them the person that you beséis. Activated charcoal: natural teeth whitening method is a highly absorbent substance, removes toxins when they adhere to the carbon surface helps to improve oral health, changes the pH of the mouth, prevents cavities, kill the bad bacteria cause gingivitis and tooth decay. Brush for two minutes in small, gentle circles. Warning: much stain clothes and sink (I recommend these capsules). 3% hydrogen peroxide: In my last visit to my dentist, I recommended their use along with a blunt needle to clean between the teeth. Help to kill bad bacteria and bleaches. Only use a couple of times a week, because its prolonged use burning the gums. Available in pharmacies or this brand is recommended. Listerine recipe home. What's a tincture? The dye is a concentrated form of herbal liquid which is very easy to prepare and easy to take. Preserves and concentrates all the properties of the herb, making it more effective and more durable. The alcohol-based tinctures last up to several years and only need to have an airtight container, consume alcohol (vodka or rum) and herbs of our choice. This extract combines herbs that are naturally healing and cleansing, refreshes while killing germs and alkaline mouth and gums. Nails are traditionally used in preparations for oral health for its antiseptic, antibacterial and antiviral properties. Traditional mint adds fresh flavor, it is also antibacterial and refreshing. Plantain is antibacterial and antimicrobial and traditionally used for their properties to accelerate wound healing. Rosemary is a refreshing and aromatic herb that is anti-bacterial and soothing to irritated gums. How to prepare the dye? Put in an airtight pot a teaspoon of cloves, two tablespoons of mint, two tablespoons of plantain, rosemary spoon, bathe with a little hot for herbs loose their properties and remove water. Pour 250 ml of alcohol and Close. Store in a dark place for 2-3 weeks, shaking the bottle occasionally. After that period, strain, add 20 drops of an essential oil like cinnamon or mint and store in a dropper bottle. Before use, mix 40 drops of the tincture with enough water and rinse your mouth for 30 seconds. For a more thorough cleaning also be mixed with hydrogen peroxide. Are you ready for a natural explosion in your mouth?